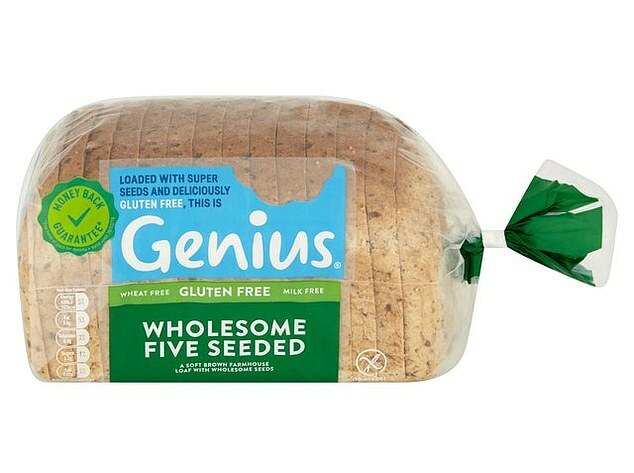 CLAIM: White sliced loaf with nutritious crushed wheat, soya and brown linseeds. High fibre. EXPERT VERDICT: There is evidence to suggest compounds called isoflavones, found in soya, may alleviate hot flushes, lower cholesterol and strengthen bones. Two slices give you 12 per cent of your daily fibre needs and a similar amount of protein as two boiled eggs. Linseeds provide omega-3 fatty acids, important for heart and brain health. There’s a teaspoon of sugar in two slices, though. CLAIM: Free from gluten, dairy, egg, soy, nuts and yeast. Made with potato flour, gluten-free oats and sourdough. EXPERT VERDICT: This is a good choice for anyone with a food sensitivity or allergy. Two slices contain as many oats as a bowl of porridge. These contain beta-glucan, a type of fibre shown to help lower levels of bad cholesterol. Two slices provide a third of your daily fibre needs. 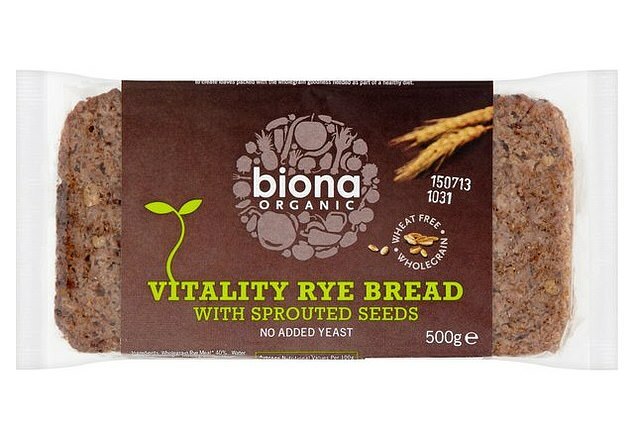 Unlike some other breads, this has not been fortified with vitamins and minerals. It also has more salt than other loaves — 23 per cent of the daily limit for an adult in two slices. CLAIM: Half the carbs of regular bread. Seriously seeded. EXPERT VERDICT: Cutting down on carbohydrates can be useful if you need to control blood-sugar levels for type 2 diabetes. 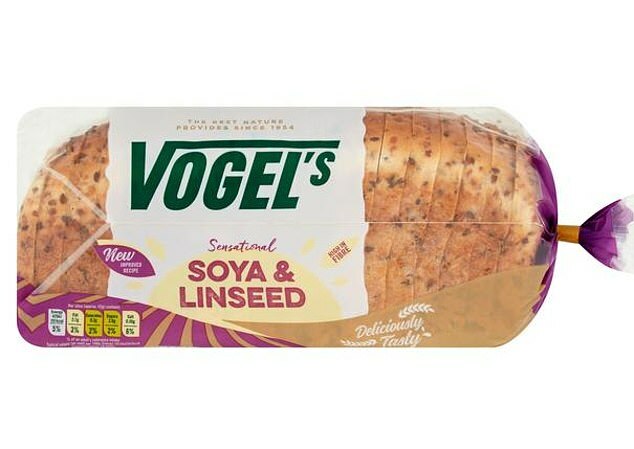 Soya and a generous 10 per cent seed mix, including linseeds and pumpkin seeds, provide healthy fats and fibre and help to reduce the proportion of wholewheat flour in this loaf — and consequently halve the carbs. This bread is more than a quarter protein, too, plus there’s no added sugar. 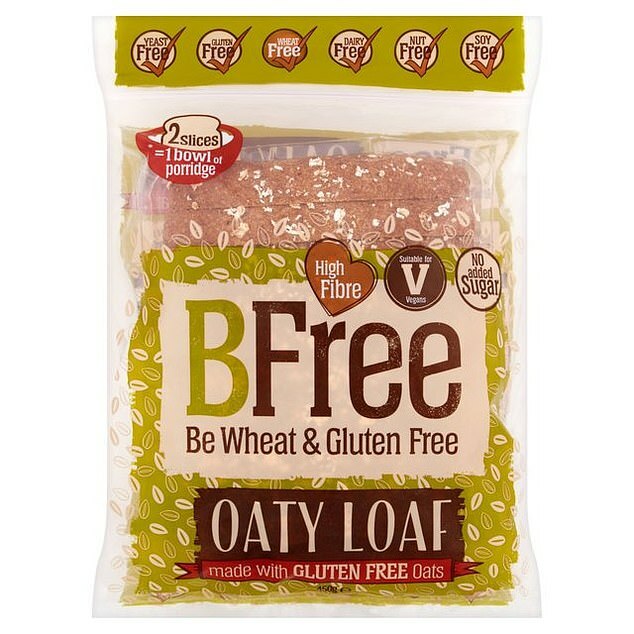 CLAIM: Wholemeal loaf with 8g protein per two slices. EXPERT VERDICT: On the plus side, two slices will give you about 12 per cent of your daily recommended fibre intake. And while there is some added sugar on the ingredients list, gram for gram its sugar content is one of the lowest. 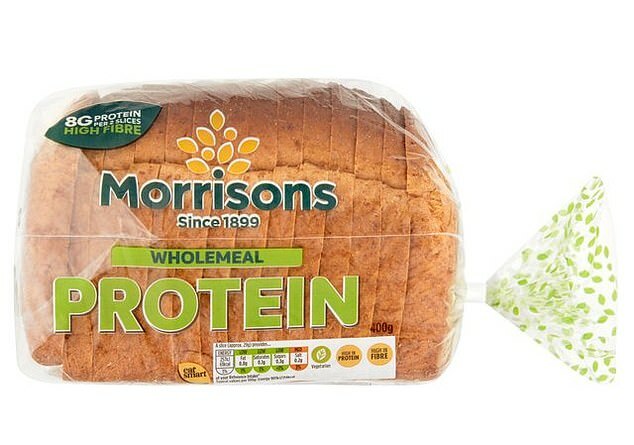 Wheat, milk and soya flour have been added to boost the protein content, so there’s about a third more protein here than you’ll find in a standard wholemeal loaf (but less than some seeded breads). But we don’t need bread with added protein — we usually get enough from a varied diet. CLAIM: Wholemeal loaf that’s low fat; 64 calories per slice. 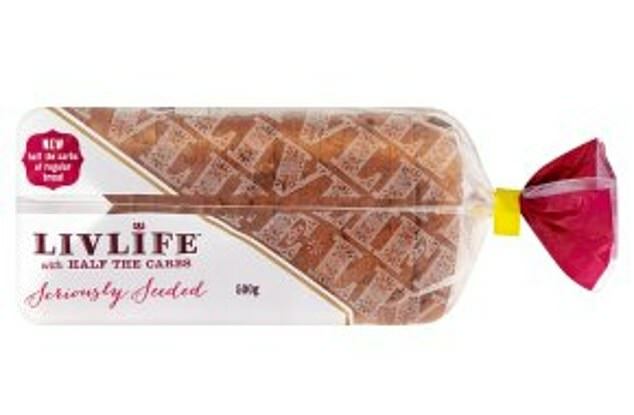 EXPERT VERDICT: This has no added sugar, but, because the slices are smaller than in standard loaves, a two-slice portion will supply only a tenth of your daily fibre needs. Nutritionally, there’s not much difference between this and a regular wholemeal loaf — but it has more saturated fat per 100g than some. It claims to have fewer calories per slice, but that’s because it is more aerated and slices are smaller (they weigh almost 40 per cent less than a regular thick slice) — so you may end up eating more to satisfy your appetite. CLAIM: Rye bread with sprouted mung and aduki beans, alfalfa, linseed and quinoa. Wheat/yeast free. EXPERT VERDICT: Wheat and yeast-free products can help stop bloating if regular bread is a problem. Rye is more filling than wheat, and this loaf has a high fibre content and no added sugar. ‘Sprouting’ seeds is said to boost their nutritional profile, but it doesn’t make a lot of difference, when baked. Rye bread with sprouted mung and aduki beans, alfalfa, linseed and quinoa. Wheat/yeast free. CLAIM: Free from gluten, lactose, egg and palm oil. EXPERT VERDICT: This is certified as being low in certain sugars that research has shown can be poorly digested by some people and can cause discomfort for those with irritable bowel syndrome. Gram for gram it has more than three times the amount of digestion-friendly fibre that regular white bread has — which is probably why the manufacturer describes it as ‘wholesome’. It is lower in protein than some of the other breads we looked at — but a protein-rich sandwich filling, such as meat or egg, would help balance this shortfall. CLAIM: A white loaf with sprouted naked barley, spelt, buckwheat, quinoa, chia seeds and millet. EXPERT VERDICT: ‘Ancient grains’ and seeds help to boost fibre content and will provide useful amounts of healthy fats. Chia seeds are a rich source of omega 3 fats, important for heart and brain health. However, two slices provide 264 calories and it has one of the highest sugar contents here. 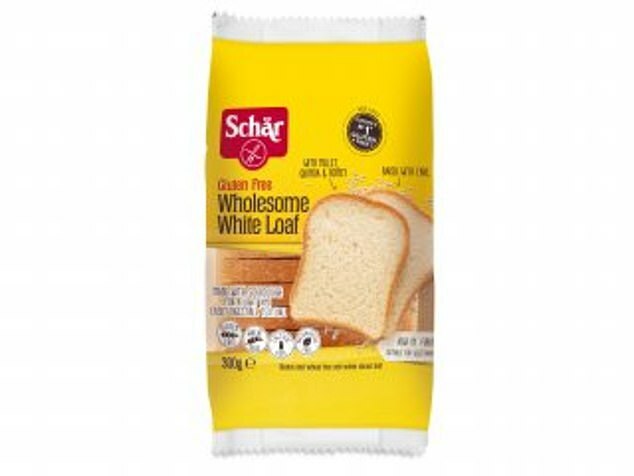 CLAIM: White bread with added wholemeal flour, vitamins, calcium and iron. EXPERT VERDICT: Two slices give you 32 per cent of your daily vitamin B6 needs, 40 per cent of your vitamin B1 and 30 per cent of your vitamin B3 — all important for healthy metabolism and energy levels. You also get 30 per cent of your vitamin D needs and 38 per cent of your calcium. Top a slice with vitamin C-rich foods to help absorption of iron. CLAIM: A source of omega-3. It has sunflower, poppy, linseed, millet and flax seeds. EXPERT VERDICT: Suitable for coeliacs, this has been fortified with B vitamins, which are important for healthy metabolism, and iron, for healthy red blood cells. The 13 per cent seed content adds fibre and zinc, important for wound healing. But there’s added sugar (almost half a teaspoon) and 0.8g saturated fat (4 per cent of the daily limit for women) in two slices. A meat or dairy filling would boost the protein content of this bread. Suitable for coeliacs, this has been fortified with B vitamins, which are important for healthy metabolism, and iron, for healthy red blood cells. 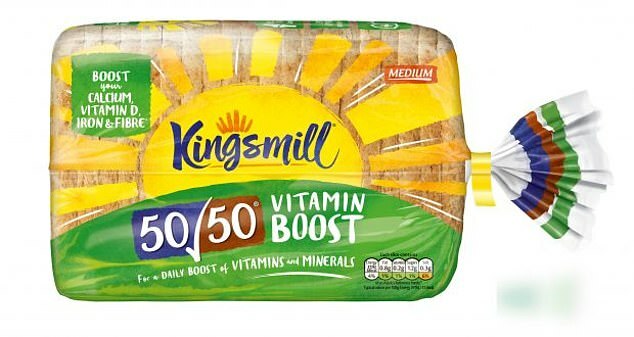 CLAIM: ‘The world’s healthiest bread’. Full of protein and omega-3 and free from gluten, wheat and dairy. 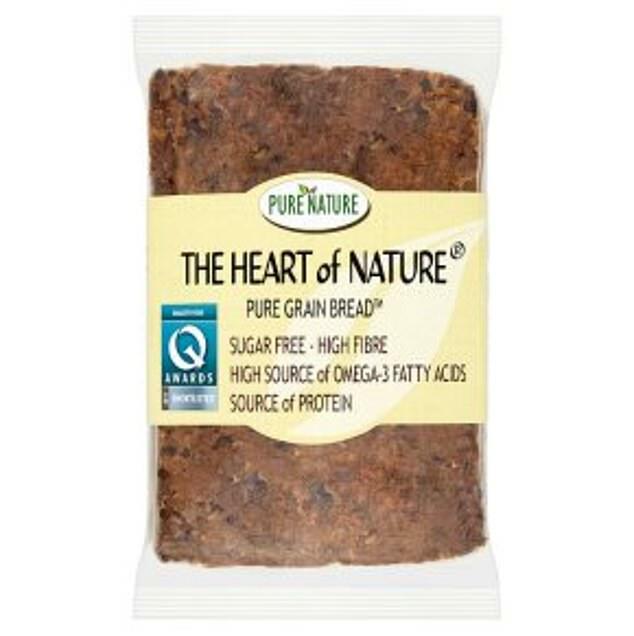 EXPERT VERDICT: The generous quantity of seeds ensures this bread offers a good amount of heart-healthy omega-3 fats; gram for gram, it has about half what you’d get from a salmon fillet. It has fewer carbs compared with most, but also the highest fat and calorie content of all the loaves here, due to the seeds and oil. CLAIM: Wheat-based loaf with 11 pulses, seeds and grains. Source of protein. EXPERT VERDICT: The mixture of grains, pulses and seeds adds to the fibre content — two slices will give you a sixth of your recommended daily intake. They are also a good source of protein — you’ll get around a medium-sized egg’s worth per slice. The seeds and rapeseed oil provide a mix of healthier fats that are essential for optimal brain and hormone health. There is added sugar though — contributing to half-a- teaspoon in every slice. The mixture of grains, pulses and seeds adds to the fibre content — two slices will give you a sixth of your recommended daily intake.